With the hectic pace of this modern world, it’s understandable why we sometimes just want to get away from it all and take some time for ourselves. Fortunately, there is a big wide world in which to do this, meaning that on a journey to discover a new place, you may just discover some peace within. 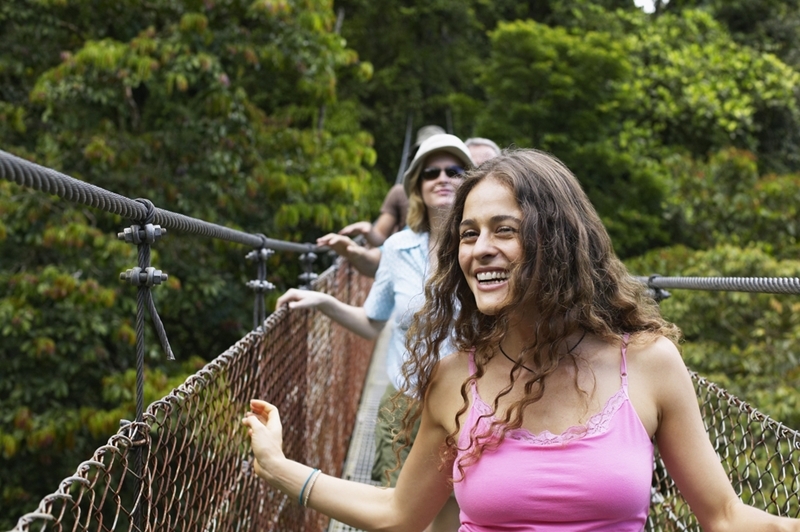 What should you look for in a wellness retreat? If you live in a city, there is a good chance that you spend your days surrounded by near constant noise, sitting in traffic and navigating through thousands of other rushed pedestrians on your way to work. Even if you don’t live in a buzzing urban environment, it’s easy to find yourself weighed down with responsibility, and struggling to take a step back and relax. According to the Australian Psychological Society, over a third of Australians admit to experiencing significant distress in their daily lives. If this sounds like you, a wellness retreat could work wonders. One thing such a retreat should include is the chance to be connected with nature. Why? Research by the University of Rochester found that people feel more alive when spending time outdoors, so whether you’re lazing on the beach or taking a hike through the rainforest, the fresh air could do you the world of good. The Central American country of Costa Rica is abundant with lush rainforest and pristine, palm-lined beaches. As such, it is an ideal spot to unwind and soak up the sun. The area surrounding the Arenal volcano is particularly beautiful, and there are plenty of hotels and resorts where you can drop your bags. Indulge in a spa, and let a massage work away any tension in your body. In addition, the peace and quiet provides the perfect opportunity to practice a little meditation under the shade of the trees with bird song in the background. If you venture to the north of the Costa Rica’s Caribbean side, you’ll find the beaches that form part of the Tortugero National Park are also home to green tortoises. Another incredible spot to get close to nature is the La Fortuna waterfall, set in the dense green jungle of the Arenal area. Get closer to nature in Costa Rica. Reaching some 65 metres in height, the water cascades into a pool below, accessible by a 15 minute climb down the stairs, or 45 minute scenic horseback ride. Once you’re there, take a plunge into the bracing waters for a truly invigorating experience. Speaking of invigorating, there’s nothing like a tour of the tree canopy, hovering above ground in the Aerial Tram, run by Rainforest Adventures. You’ll take a leisurely journey through the tree tops, guided by a naturalist who will enlighten you about the incredible plant and animal life here. If the beach is more of your thing, you’re in luck, for Costa Rica’s tranquil shores provide plenty of opportunity to stretch out on the sand. Playa Manuel Antonio is located in a national park, as was the proud winner of a TripAdvisor Traveler’s Choice Award in 2015. Verdant foliage gives way to soft sands and aquamarine waters which are pleasant to swim in. If you keep your eyes peeled you might even see some of the curious resident monkeys in the trees nearby. 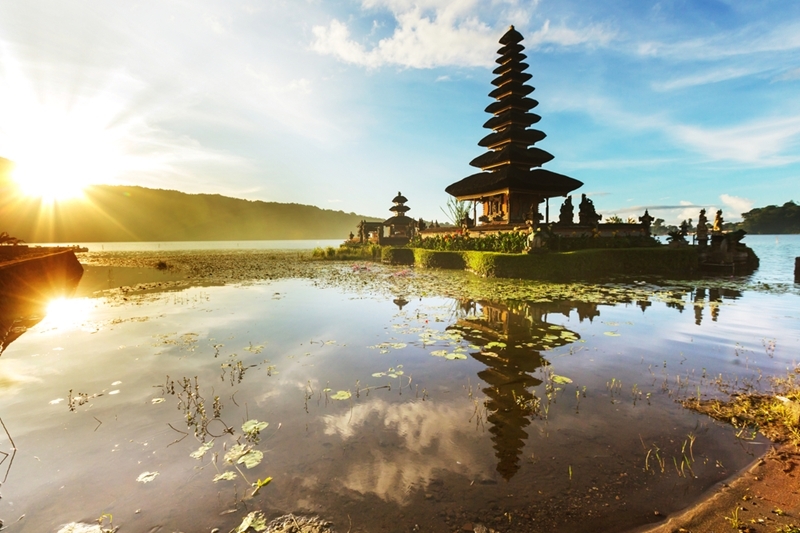 The small Indonesian island of Bali is renowned as a heavenly retreat for visitors from around the world. Ubud, at the heart of the island is a wonderful place to get an idea of Bali’s unique atmosphere. Here you can seek out your balance at a yoga class, such as those offered by the Intuitive Flow Studio. Choose from the dynamic forms of Vinyasa Flow, Hatha, and restorative yoga. Once you’ve enjoyed a revitalising yoga session, work out the last of any tension at Taksu Spa, where the expert therapists can lend their skills in local techniques, as well as Western and Thai massage and reflexology. A pilgrimage to the spiritual grounds of Tirta Empul is a must. Built around a natural sacred spring, this temple is about a half hour drive from Ubud. Upon arrival, you’ll be met by tropical gardens leading to the purification bath, where pilgrims will eagerly await to bathe in the sacred mountain water. If you decide to wade into the pool, you’ll not only be sharing the experience with your fellow visitors, but with the golden koi fish. You’ll find all those stresses and worries from back home simply fade away here in this truly special place. To make the most of the atmosphere, visit earlier in the morning to have Tirta Empul more to yourself. For those who find peace in the water, Bali also has some excellent diving spots where you can come face to face with the myriad sea creatures below the surface. By the time you’re done with Bali, you will emerge another, more refreshed and relaxed person. Find your balance in beautiful Bali. Looking to plan your own wellness getaway? Discover cheap flights to Bali, Bali holiday packages and a great choice of Bali hotels with Webjet.